Home Soccer Junior defends Setién: "I do not think he despises anyone"
Junior defends Setién: "I do not think he despises anyone"
The lateral one already thinks about the future and does not doubt about the style: "We have a hallmark, but if one day you can not play like that, you try differently". The Betis today held a promotional event with Alfa Romeo in which the pilot Marc Gené participated and some of the players of the first team and Quique Setién could be seen on the day after the league defeat against Leganes. 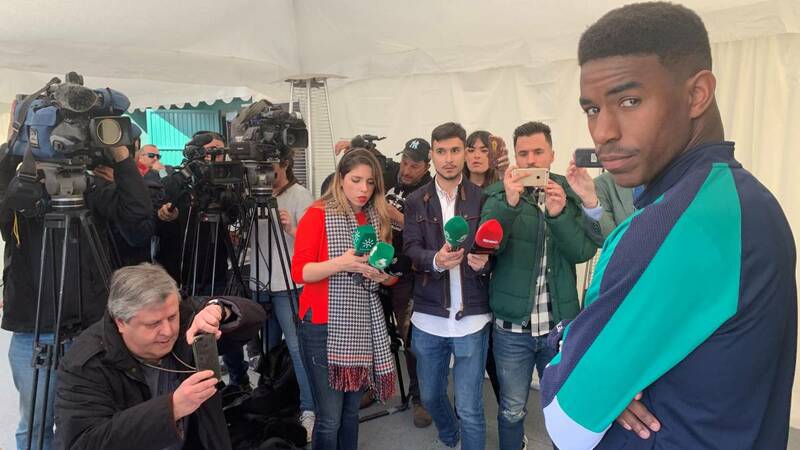 Junior, absent in Butarque by sanction, was asked about what happened with Quique Setién and his statements: "I have not heard the statements if I am sincere. I do not think that the míster despises anyone, he is a very respectful person with the work of other compañeros. What you said is a topic of yours ". The side analyzed the defeat: " Maybe the other teams have a whole week to prepare the matches and we have a match between weekdays, and an accumulation of matches. There are days when things do not come out as we think they should come out. We are a little hurt because the image was not right. " Look at the Europa League: " It's very good for us because the teams from outside do not know us as much as the teams in the league. We face it with great enthusiasm to get a good result in the first leg so that Villamarín decides on the round ". Finally, insisted once again on the team's style of play: " We have a very recognizable identity symbol throughout Spain. Not all the goals we have scored have been played by the touch, we have also scored the counterattack, hitting a pitch. We are a very complete team, we can play in several ways. We have our style and we try to play in this way, if one day we can not try it another way ".